If someone offered champagne, I would have wished to ______ some. Where did John F. Kennedy die? Can you go to me to the mall? Can you go with me to the mall? What part of the brain is responsible for complex thinking? What is the antonym of "goal?" YOU DID YOUR BEST! DON'T STRESS! Don't think about it too much! You did your part, you attacked this and you tried it and you thought you were going to pass this like a piece of cake but IT IS OKAY. Take a deep breath, there's really no one better than you! You're an amazing person and just for the fact you tried to attack this tough test, you deserve the best! Not a lot of people would actually take the time to actually do it. Take good care, and have a beautiful day! Thank you for taking this test, tell us how we did! Share, tweet, and challenge your friends! EXCELLENT WORK! YOU PASSED THIS TEST! YOU MUST BE PROUD OF YOURSELF! You're a person with such brainpower and knowledge. 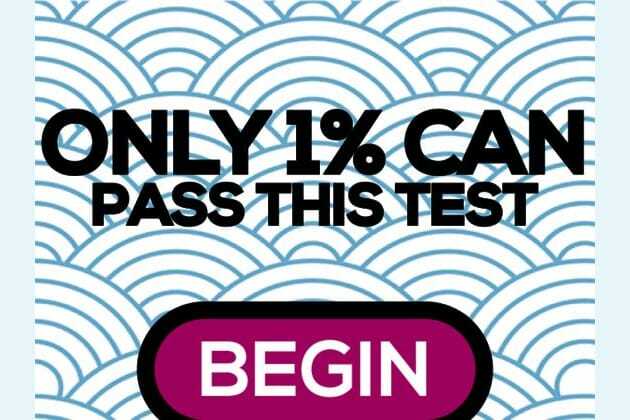 This test was not as basic as you think. Not so many people passed this test! Really! Be proud! You nailed this test. Excellent work! This is a pretty tough quiz most Americans have a tough time solving!